A ballscrew-driven motorised test frame designed to apply tension and compression from 2 N right up to a capacity of 2.5 kN (550 lbf). The single-column MultiTest-dV features a ballscrew-driven motorised test frame, which is designed to apply tensile and compressive forces from 2N right up to 2.5 kN. There are 3 models in the range with ratings of 0.5 kN, 1 kN and 2.5 kN and offering crosshead travel up to 1200 mm (47"). The dovetailed crosshead design ensures operators can quickly and easily attach digital force gauges or ELS loadcells, which are automatically recognised by the software. The base plate of the MultiTest is pre-drilled with threaded holes to directly accept a wide range of grips and fixtures. The MultiTest-dV when configured with an Advanced Force Gauge (AFG) optionally enables you to capture test and performance data through VectorPro Lite, but can act as a standalone tester for peak readings. The MultiTest-dV requires a Windows PC to run the VectorPro MT software and interact with the ELS loadcell. Its compact design and small footprint make it the perfect selection as a bench-top device. The MultiTest-dV is a highly flexible tester,which can be configured with either an Advanced Force Gauge for product testing or an Enhanced Load Sensor for basic materials testing. A digital force gauge with advanced features to allow simple control of the MultiTest-dV stand. Excellent accuracy of ±0.1% of the gauge capacity. A precision loadcell which connects directly to the MultiTest-dV stand and communicates with VectorPro MT software to allow sophisticated test routines for materials testing applications. Available as an optional extra to Mecmesin’s motorised force testers, VectorPro Lite is an advanced data acquisition and plotting software package. Call-up pre-stored test routines for tensile and compression testing, present test data graphically and issue test reports. Simply connect the interface cables from your motorised force tester to your PC, and you are ready to enjoy enhanced testing with the power of VectorPro Lite. Connected to the MultiTest-dV force tester, VectorPro Lite enables the creation, storage and upload of basic test routines. Easily construct flexible operational sequences using a drag and drop interface and built-in version control. VectorPro Lite captures live tension and compression test values. These values are used to plot a live graph of force vs time/displacement, helping you to visually identify any events during the test that cannot be picked up through just a peak reading on the instrument display. A suite of standard calculations to help determine whether your sample has passed or failed, with clear pass or fail indicators and operator alerts. Generate a graphical report with a statistical analysis of results per batch of samples. Reports can be customised and shared as PDF or CSV with your customer. The MultiTest-dV is a superior motorised force tester offering outstanding value. Designed for precision-controlled compression and tension testing the MultiTest-dV’s simple controls, backed by sophisticated electronics, make it the ideal choice for a wide range of routine testing. It improves greatly on the variability encountered with manual testers where tension and compression are applied by hand at varying speeds. By applying force at a constant speed, whilst gripping the sample in a uniform manner, the motorised MultiTest-dV significantly enhances the repeatability of test results. Operators can perform routine batch testing with excellent throughput, minimising testing time, and benefitting from the convenience associated with these motorised tensile testers. 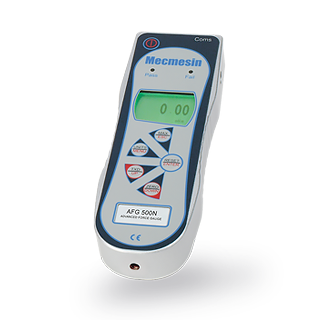 Test to a target displacement limit or, when using any one of the Mecmesin range of Advanced Force Gauges (AFG), to a load limit or break. Add VectorPro™ Lite software to a MultiTest-dV with AFG, for data acquisition, plotting of graphs, calculation of results, plus reporting and exporting of test data. Fit a dedicated ELS loadcell and connect up to VectorPro MT software to use your MultiTest-dV as an entry-level materials tester. Control your whole test sequence with simple, step-by-step programmes. Perform both standard calculations like peak, load at displacement and more complex calculations such as Youngs Modulus, and offset yield strength. The MultiTest-dv is a versatile single-column, motorised tester designed for ease-of-use by operators of all levels. There are 3 models in the range with ratings of 0.5 kN, 1 kN and 2.5 kN and offering a crosshead travel up to 1200 mm (47"). Each occupies minimal bench space and are ideal for applying tensile and compressive forces in a variety of applications. It delivers superior performance via its control panel and multifunctional control wheel, which allows the precise selection of test parameters such as speed and target force/displacement. Coloured LEDs clearly indicate the machine status during testing and operators can effortlessly follow the progress of the test from the force & displacement panel. For more in-depth recording and analysis of test data, the MultiTest-dV can be connected via its USB output port to VectorPro Lite advanced data-acquisition and plotting software package. Adjustable safety limit switches are fitted to ensure that specimens cannot be stretched too far or grips crushed together. The MultiTest-dV is fitted with a dovetailed crosshead for quick and easy interchange of force gauges or loadcells. Grips and fixtures can be rapidly fitted to the anvil plate which is pre-drilled with threaded holes for easy connection. 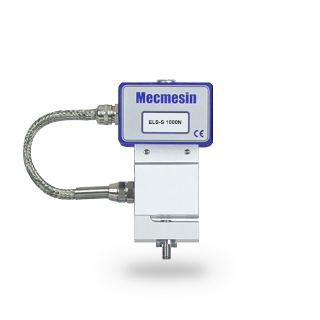 With each model weighing around 25 kg (55 lbs) its compact design and small footprint make it an ideal bench-top tester for use in the quality-control laboratory or production area. The Advanced Force Gauge (AFG) is a self-contained device comprising an internal loadcell and its own display. There are 10 models ranging in capacity from 2.5 to 2500 N (0.5 - 500 lbf) each featuring an impressive measurement accuracy of ±0.1% of full-scale. The AFG is positioned on the crosshead of the test frame via a dovetailed fixing and continuously measures & displays tension/compression, whilst simultaneously capturing the maximum peak readings in the background. When the AFG is connected to the MultiTest-dV via an interface cable it can transfer the displayed 'live' load reading to the front panel and perform basic control of the test. This is achieved by configuring settings within the AFG to send a signal to the test frame to 'stop' or 'stop and reverse' when a load limit or specimen break is detected. Tension and compression values obtained by the AFG can be transmitted directly to a PC or printer for the recording of results. Alternatively, force readings are combined with displacement readings within the MultiTest-dV and sent to the USB output port to create a data-package, which is accessed by VectorPro Lite software for plotting graphs, calculation of results and creation of test reports. The Enhanced Load Sensor (ELS) is positioned on the crosshead of the test frame and communicates with the MultiTest-dV for precision testing of materials when combined with VectorPro MT software. There are 13 models ranging in capacity from 2.5 to 2500 N ( 0.5 - 500 lbf) and all are fully interchangeable with their calibration characteristics being immediately recognised by the MultiTest-dV. This ensures that you have the optimum selection to meet all your materials testing needs without the need for lengthy set-up. Measurement accuracy is an outstanding ±0.5% of reading. Holding your test specimen in place without it slipping is essential to obtaining repeatable results. 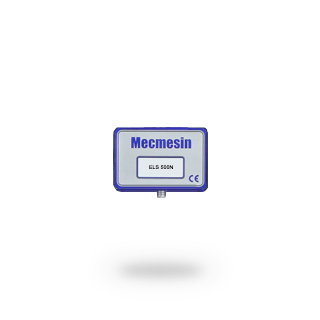 Mecmesin have an extensive range of grips and fixtures to hold a variety of components and materials. They include wedge grips and vice grips for tensile testing, compression plates and bend jigs, friction tables plus many more. Discover more about the MultiTest-dV motorised tensile and compression testers in our product brochure. ±0.1% of full scale. eg. AFG 100 has full-scale capacity of 100 N so is accurate to ± 0.1 N at any point between 0 - 100 N.
± 0.5% of reading from 5-100% of the loadcell capacity. eg ELS 100 when measuring 10N is accurate to ± 0.05 N or when measuring 50N it is accurate to ± 0.25 N.
Formulating lipsticks which provide the look and texture that customers demand whilst providing application, protection and durability in performance is the challenge for the cosmetics chemist. A motorised test stand with a digital force gauge enables simple, quick and accurate break resistance testing. Durham University is a world top 100 institution and the first ever to establish overseas campuses.